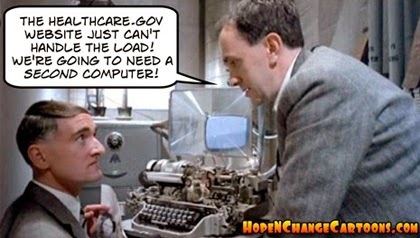 Hitler Finds Out About Obamacare Exchange Problems. I think, EVERYTIME, I see one of these -- "This is the funniest one yet!" Guess what?! This one has got to be an all-time high! Thanks for sending this, Mustang. Hope the stamps work better than the Web site. Hmmm. I forgot... the U.S. Mail has its own problems to contend with. 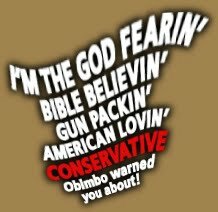 Faking It, Winging It, Dodging His Way Around. From clashdaily.com: NBC’s Chuck Todd bluntly asked White House spokesman Jay Carney Monday who “misled” President Obama by letting him make promises about the Obamacare website that it has been simply unable to meet. The older guy would just go on and retire -- someone as young as Carney still needs to work another 25 years. In other words, she’s demanding 50% more from her people than is logically, humanly, or mathematically possible. Which makes Hope n’ Change wonder -- how many of the other components of Obamacare are required to function at 150%, 500%, or a trillion-jillion% over what is actually possible? There is an increasing tide of news articles suggesting that the real problem with healthcare.gov (and the backend systems, if anyone ever gets that far) isn’t so much the code or the contractors, but the inept government supervision which has demanded the impossible, based on requirements that are unintelligible, all of which is supervised by clueless, politically motivated bureaucrats. And inevitably, this disaster will result in human suffering and deaths. Frankly, this is enough of a mess that we think some highly-placed administration officials should be sentenced to jail time. And be forced to serve 150% of it. And maybe a copy of Windows which wasn’t bootlegged. Never Heard The Expression, "Don't Go Pokin' The Bear," Huh? It's Not Working Because It's So Popular! Yeah, that’s the word I was looking for. It’s a crazy thing... the way that word just pops into my mind. It’s been that way since about 2008. It still amazes me that the Bathhouse Barry gang and Jay “Baghdad” Carney are able to come up with the statements they do and manage to keep a straight face. Who knows... maybe they don’t. Maybe (and probably) they’re laughing their asses off the whole time, “Because the sheeple will believe anything!” They’ve proved it.